As we move to a cashless society, charities need to adapt to ensure they maintain donor support. For the Missed Moments campaign, Sightsavers, working with LIKECHARITY and JCDecaux, has developed an experiential donation opportunity which fully immerses people in the cause and allows them to instantly see the difference their donation will make. Located in Eyre Square Shopping Centre will be an innovative and interactive Digital Retail Display unit (digital video pod), the very first time this technology has been used in Ireland. The Digital Retail Display has been modified to allow donors tap a debit or credit card, donate just €2 and instantly see how their simple action and small gift helps to give a real person back their sight. A short video introduces them to someone living with visual impairment and seeking a sight-saving operation, then they are immersed in their journey from darkness to sight, and ending with the moment their bandages are removed and they can see again. One of these is Winesi from Malawi whose missed moment was seeing the face of his wife which he hadn’t seen in 12 years! 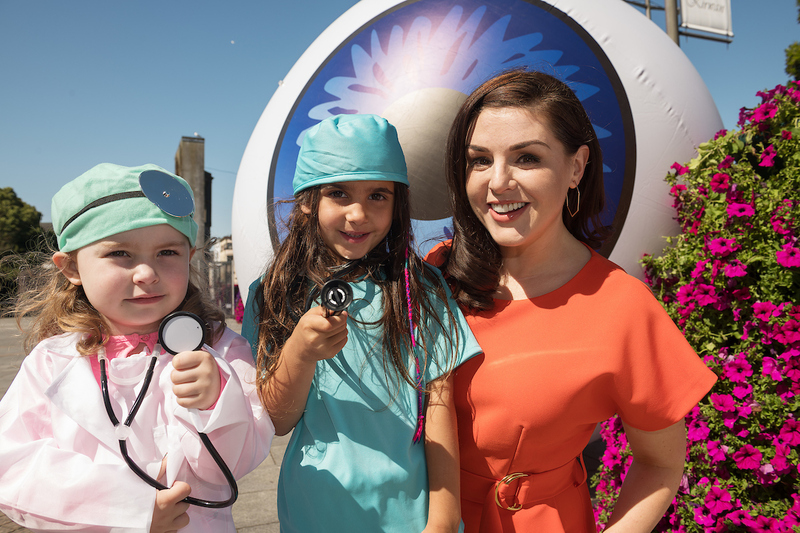 Elsewhere the campaign will feature digital advertising billboards around Eyre Square featuring iconic moments from Galway history and culture which will encourage Galwegians to reflect on the moments they might have missed in their lives due to preventable sight loss. Maybe it’s the historic sight of David Burke lifting the Liam McCarthy Cup after Galway’s first Senior All-Ireland Hurling Title in twenty-nine long years, or the iconic view you see walking along the beautiful promenade in Salthill. Galway Bay FM will also be supporting the campaign with an on air competition, advertising and through social media channels. A staggering 253 million people around the world are visually impaired, of which 36 million are living with blindness. It’s a sad and startling fact that 75% of this is avoidable. A small donation is so powerful – when their sight is restored, a real person has the chance to get back to work, school and get their independence back. This little donation can go such a long way in a developing country – just 17 cent can protect someone against the blinding and painful disease trachoma, while €32 pays for a cataract operation to restore someone’s sight and freedom. €12,500 would allow Sightsavers to provide a river blindness treatment to 250,000 people, while €42,500 would provide a trachoma treatment to 250,000 people, both the equivalent to protecting the whole population of Galway city and county!